The reviews are in and…well…they’re about as mixed as you would expect for a live action Venom film from Sony. Why in the world Sony would decide to launch a Spider-Man movie universe without the web head is beyond me. I still have a morbid curiosity to see if the Venom CGI holds up throughout the film, and how it looks in IMAX. I may even go see it this weekend. 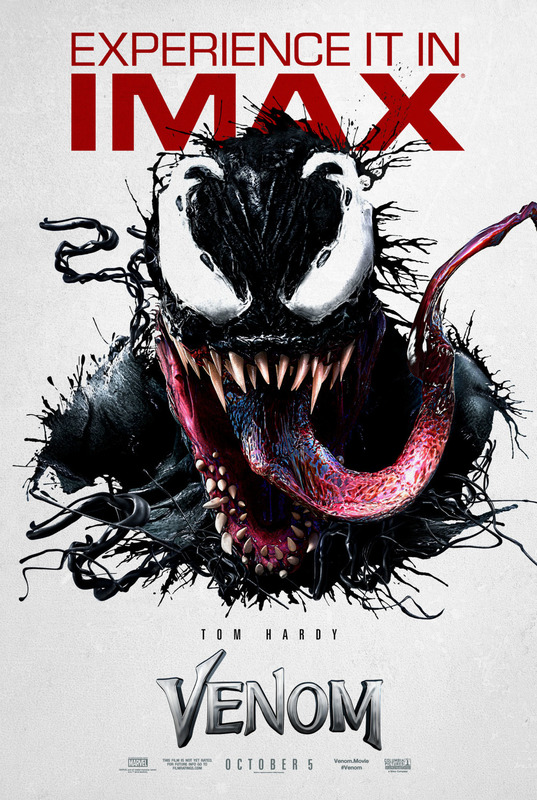 In the meantime, check out this pretty cool Venom IMAX theatrical one sheet movie poster. Are you interested in seeing this film in the theater? Marvel’s Venom opens in theaters across the United States today, Friday, October 5, 2018.